Shaving milliseconds of personal best times could mean the difference between gold and silver at the forthcoming Beijing Olympics – and once again high-tech clothing is seen as one way of finding that extra yard. Speedo’s LZR Racer swimsuit has already had a record run since its release in February and now it’s Nike’s turn to bask in the Olympic spotlight with the unveiling of its new ultra-lightweight uniforms for the USA’s 2008 Track and Field (USATF). 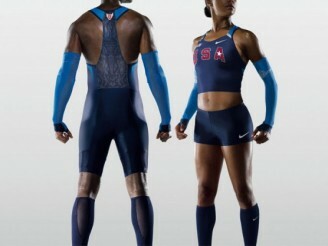 The new uniforms feature drag-reducing Nike Swift materials which the company says translates to a benefit of about .02 of a second in the 100m. The Swift System of Dress lets athletes customize what they’re wearing while increasing aerodynamic advantages on key parts of the body. Socks, along with gloves and arm coverings made from dimpled fabrics (like a golf ball) to cut wind resistance are included in the range. According to Nike, the design team found that compared with bare skin, the gloves and arm coverings reduce drag by 19% and the socks by 12.5 %. 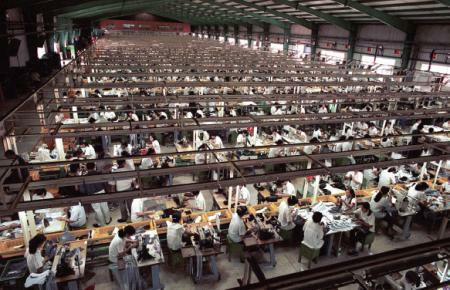 Nike is planning to apply this energy-reducing plan for pilot suppliers May 31, 2008. Info and words come from PSFK. A 1960s mini dress and medical packaging were the inspiration when it came to redesigning Nike’s original PreCool Vest. First introduced in Athens, Nike wanted to make it lighter, more flexible, better fitting and refillable a tall order for a piece of equipment athletes have been praising since Athens. The vest is designed to cool the body’s core temperature. Since 25% of our body’s total energy goes into moving muscle and 75% into regulating heat, reducing an athlete’s core temperature before the marathon or a field hockey match means more energy for the competition itself. Indeed, with core cooling, athletes can often last 21% longer. Given Beijing’s hot and humid conditions, the PreCool Vest is a key piece of equipment that can help provide the advantage an athlete needs. In improving the vest, Eddy Harber and Irena Ilcheva of Nike’s AIT or Advanced Innovation Team focused on apparel development turned to high fashion, specifically a dress made of tiny metal discs. Like chain mail, it clings to its wearer. It was thought the geometry—smaller discs to hug the body’s curves and larger discs over flatter planes like the back and stomach—would work for the vest. A grid of triangles was used, smaller on the shoulders and larger down the spine, to maximize skin contact. The closer the fit, the less ice needed to cool the body, and the lighter the vest became. Nike partnered with a medical supply company to make the actual vest. Each one will be individually tested, and though the engineering that goes into the vests is high tech, they’re being made from sustainable materials. Perhaps the most interesting fact is all th ematerials used are ‘Considered’, with the PreCool Vest made of recycled Nike Air soles and the felt carry case, which helps keep the vest cold, comes from recycled men’s suits. 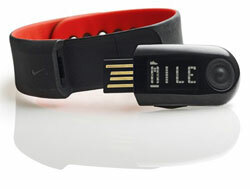 Nike has announced the new Nike+ SportBand, a bracelet that tracks pace, distance, and calories burned (estimated, of course) just like the Nike+ iPod package does-minus the need for an iPod. No price announced yet, but I expect it’ll be inexpensive. Most of the other Nike+ stuff has been so far. In the same manner that the Nike + iPod Sport Kit allows shoes to send information to a nano, the Nike+ SportBand is a wristwatch that also monitors a runner’s steps. But now a runner can check time, pace, distance and calories burned at a glance of the wrist. The Nike+ SportBand watch face is a detachable LINK that captures all the run data from a sensor located in the runner’s Nike+ ready footwear. Once a run is completed, the LINK conveniently plugs into a computer like a USB drive, so data can then be sent to nikeplus.com where a runner’s progress is tracked. The Nike Air Max has become a cult hero since the sneakers introduction many years back, while some have become greater than others we can never look past the significance the shoe has had on our culture. 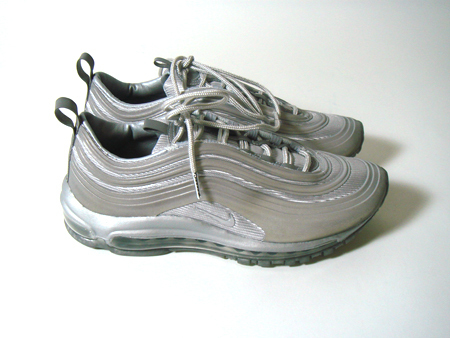 Recently we have seen many notable sneakers celebrate anniversary`s and some could have forgotten about the Air Max 97 due to all the attention paid to the Air Force 1 25th anniversary celebration. In my opinion this take on a classic and original sneaker in general is far more impressive than what we have seenfrom Nike with the Air Force 1 25th anniversary, many of you may disagree but those of you from the era of the early 90`s will see where I am coming from. The Air Max 97 along with the Air Max 95 will always be a true classic so if you are really passionate about your sneaker collection these are a must purchase.